Today, we know more about the southern residents than ever before. 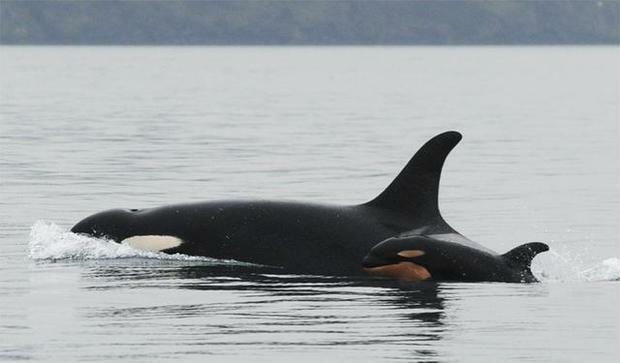 Recent research in the Salish Sea and near the mouth of the Columbia River, for example, shows southern resident killer whales are highly dependent on chinook -- even when other salmon are present. Orca hormone levels, however, reflect severe nutritional stress. Southern resident killer whales today aren't finding sufficient Chinook to maintain -- much less increase -- their diminished population. Recent research also confirms the importance of Columbia Basin chinook to southern resident killer whales. Southern residents often leave the Salish Sea to hunt at the Columbia's mouth for both Snake and Columbia River chinook. But this isn't actually news. In its 2008 orca recovery plan, NOAA acknowledges orcas' historic reliance on Columbia Basin chinook and describes its population declines as "[p]erhaps the single greatest change in food availability for resident killer whales since the late 1800s..."
This new knowledge can help us to better protect southern resident killer whales, but only with leadership and action from the federal government. In just the last two years, southern resident killer whales have lost eight individuals -- a 10 percent decline that leaves just 79 whales. This sudden decline -- ten years after being officially classified as endangered -- is spurring orca scientists and advocates to demand fast, meaningful action from NOAA. Unfortunately, recent statements from NOAA are not encouraging. In December, the Seattle Times reported: "officials overseeing whale recovery say it's too soon to say the situation is. . . dire." Yet it is irrefutable that the southern resident killer whales' future today hangs in the balance and urgent action is needed. The orcas do not have time for "wait and see" -- a sure-fire extinction strategy. The time to act is now. The survival and recovery of iconic southern residents can be secured only by significantly increasing the numbers of chinook salmon in the coastal and inland waters orcas frequent -- and time is their enemy. Although we need to stay focused on salmon restoration throughout the southern resident killer whales' historic range, it is the Columbia Basin -- and the Snake River watershed in particular -- that holds the greatest promise for restoring significant numbers of chinook in the near-term. For this reason, orca scientists and advocates have recently begun to call for the removal of the four lower Snake River dams. No other Northwest chinook restoration proposal offers such potential. Investing in a healthy, free-flowing lower Snake River will restore salmon's spawning access to more than 5,500 high-quality river and stream miles and produce hundreds of thousands more chinook to help southern resident killer whales s survive and rebuild. As orca advocates, we look forward to the opportunity to work with the people of Washington and beyond to craft a plan that restores the Snake River and serves orcas, salmon and our communities on both sides of the Cascades.